There are times when one comes across a game that has been hyped to death and then reveals itself to be disappointingly mediocre. There are times when a game comes from a respected franchise with a reputation behind it, only to be a shadow of its better installments. There are even times when a game has so much promise, so many great concepts and ideas to express, and yet is completely ruined by troublesome gameplay and overall bad execution. Valkyria Revolution is all three. It’s highly anticipated, spun-off from a criminally underrated franchise, and loaded with so much potential. But it’s undeniable flaws overshadow anything positive it could possibly offer, compelling as it may be. 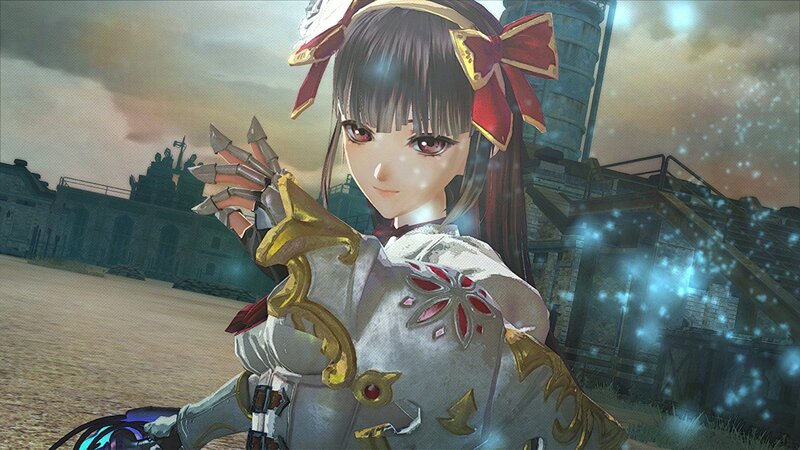 Valkyria Revolution is the newest installment in the cult-hit Valkyria franchise, this time an action RPG spin-off from the simulation RPG Valkyria Chronicles. Filled with many of the same themes of geopolitical intrigue and the brutal nature of war, it nonetheless shares only some small material similarities, specifically Ragnite and the Valkyria themselves. On the continent of Europa, the nation of Jutland is celebrating the centennial of its independence, brought about by a bloody and year-long war for independence, called “The Liberation War,” that engulfed a major chunk of Europa and dragged every major power on the continent into the conflict. Having been the victim of a severe economic blockade by the expansionist Ruzien Empire and with the support of the three other major powers on the continent, it was squeezed into desperation and starvation. Finally, the king of Jutland renounces diplomatic ties with Ruz, and initiates an act of revanchism that will ultimately lead to challenging and defeating the mighty Ruz, gaining its independence, and radically redrawing the Europan map in the process. That isn’t the whole story. A young student meets his professor, Richelle, at a gravestone in the middle of Molda, a territory of Jutland. It marks the burial site of the ‘Five Traitors.’ According to history, these five individuals infiltrated all of the major aspects of Jutland society and pushed the nation into war with Ruz in order to settle a personal vendetta. This student thinks the Five Traitors are unfairly maligned by mainstream historians and that their actions actually bettered the lot of Jutland and its citizens. Richelle, with the use of information from her great-great-grandmother, decides to tell her young student the Traitors’ story, why they chose to push Jutland into war, and the secret info that implicates one of the royal family in the conspiracy. That’s where our story begins: You are Amleth, the captain of the Anti-Valkyria squad, trained in fighting the Valkyria (codenamed Reaper) who currently serves the Emperor of Ruz in his expansionist schemes. Leading a four-person team, you are in charge of fighting enemies, reclaiming territory, and ultimately taking the fight into Ruz itself. 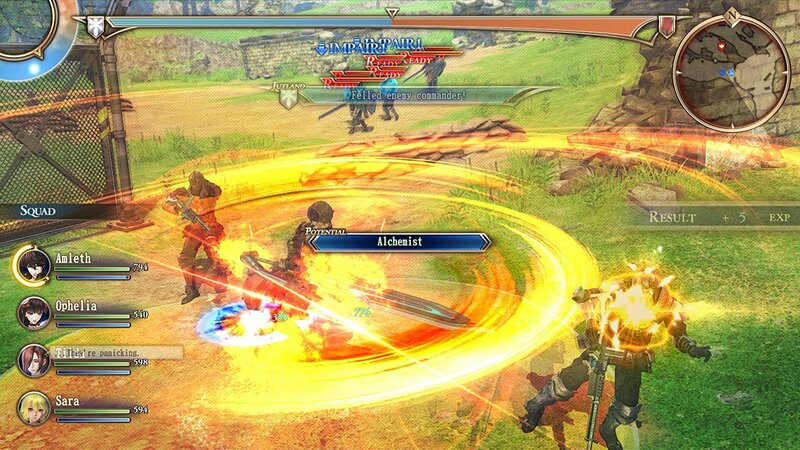 If you are a Valkyria Chronicles fan, then you will probably be curious about this latest installment in the franchise. Sadly, many of the things that made the originals great is completely lacking. Whereas Valkyria Chronicles was a revolutionary simulation RPG with action components, Valkyria Revolution is essentially a Dynasty Warriors game with ATB battle limitations. There are no combos in this game, as every character has a basic, set attack combo that is set off by a single button press and can only barely be controlled directionally once activated. Using firearms or projectile weapons is a bit more intuitive, but its accuracy can be somewhat irregular regardless of one’s level progression (unlike in VC where one’s accuracy increased with one’s level progression). There are numerous Ragnite-related spells and attacks that are a bit more intuitive and hurt several enemies at once, but one must constantly obtain and craft new Ragnite deposits in order to increase the level of these attacks. But perhaps the single most frustrating feature of the gameplay is the cooldown. Every single action requires a cooldown period that can be lengthened or shortened depending on battlefield conditions. And there is only ONE single cooldown meter. Not a single meter for attack, magic, etc. but ONE SINGLE METER for everything. Want to use an item after attacking? Too bad, you gotta wait for the cooldown. Need to recharge your Ragnite meter after using a Ragnite attack? Too bad, you gotta recharge. But what makes this even worse is the effect battle conditions can have on this cooldown time. Depending on which way the battle is going, it can be virtually negated by sheer speed, or slow down to a crawl that is virtually impossible to work around. At first, the recharging is only strategically inconvenient, and depending on the number of bases you capture and commanders you defeat, you can eventually speed up the cooldown recharge to the point that it’s virtually non-existent. However, if you are surrounded by too many enemies, or suffer crippling damage, you will be infected with ‘fear’, which will not only radically slow down the recharge, but also reduce the damage of your attacks by almost three quarters. When this happens, it is impossible to achieve your objectives without retreating, and unless you’ve captured a base, that will mean losing everything you’ve obtained in the battle and having to start the operation all over again. But that’s only the gameplay. What about the graphics and sound? Well graphics-wise, the game is rather primitive and reminiscent of early PS3 and the late PS2 era, somewhat like Falcom but without the charm or quality. The characters barely emote at all, and occasionally it can be difficult to tell who is actually speaking as their mouths can frequently be obscured by the camera angle. Many characters don’t even have something as simple as a proper turn-around animation (with the exception of Princess Ophelia, whose elegant Princess Twirl is milked for all its worth by the developers). And as for sound? The music is quite good (it’s Yasunori Mitsuda, after all), but the voice acting isn’t always as good as it could be. Far too many characters speak in an overly-dramatic monotone that seems to have only one single emotional setting: Angst. Not all of them are bad, but some of them can be grating: Ophelia’s aristocratic use of ‘thees’ and ‘thous’ can be quite off-putting at times, and she somehow manages to be constantly shocked by the nature of warfare despite having slayed dozens of soldiers with her own hands. 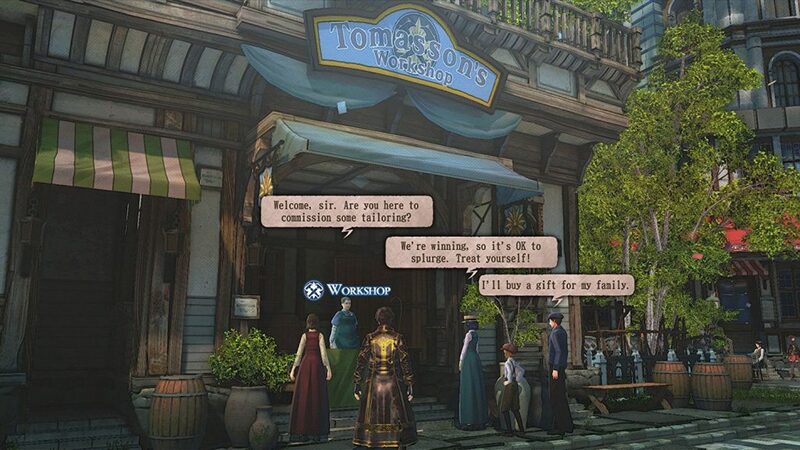 I will admit that, despite all of these flaws, Valkyria Revolution does have some virtues. The story itself is quite good, and the writing is solid. The deeper themes that it explores such as economic warfare and colonialism are timely and memorable. It also explores the way that history is told through the generations, how history is written (and rewritten) by the victors, and how it sometimes requires morally questionable people to force the world into change, even if it requires morally dubious means to obtain it. The Five Traitors themselves are all the same sympathetic, abhorrent, reasonable, divisive and at times even diabolical, but their story is a compelling one. It’s just too bad that this is buried underneath some very poor design choices and subpar graphics. 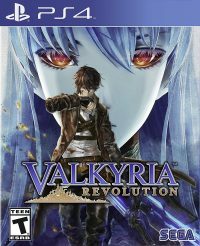 I hope personally that this game doesn’t kill the Valkyria franchise for good, but it’s going to require some serious soul searching from the developers for me to give them another chance. Now if Valkyria Revolution teaches us anything, it’s that there are more sides to the story. I wasn’t impressed myself, but your mileage may vary.